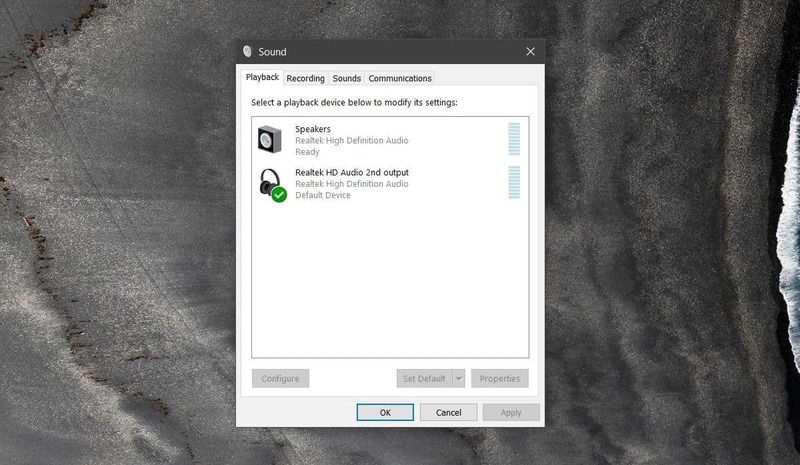 When multiple apps are playing audio in Windows, the system will output the audio to the same audio device. By default, Windows can only output audio to one device so even if you have more enabled you can only use one at a time. 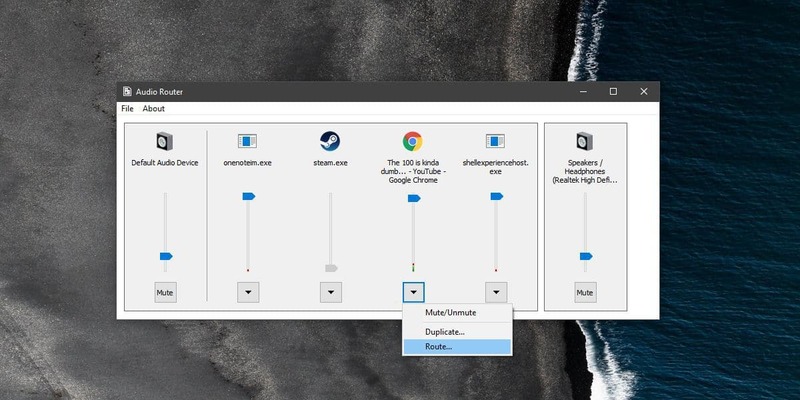 However, it is possible to output audio to multiple devices on Windows 10 using third-party apps. There are multiple apps that can do this, but for the purpose of this guide, we’ve chosen Audio Router, a free and open-source app that’s very practical. Before we get to the instructions, check that your audio devices are detected by Windows as separate devices. To do this, right-click the speaker icon in the system tray and choose “Playback Devices” from the context menu. 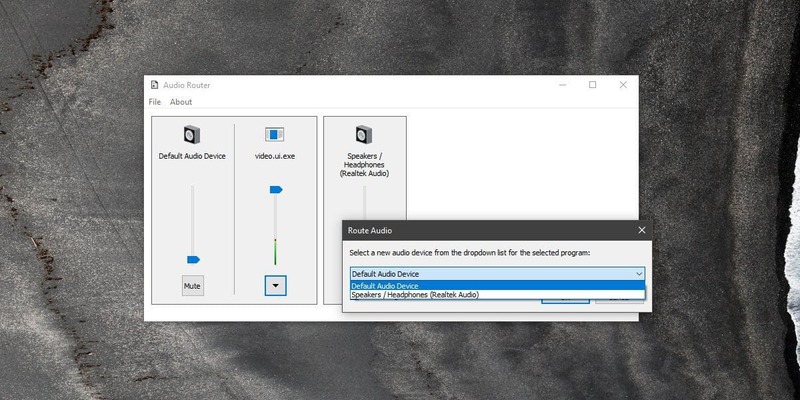 Assuming you have at least two audio devices detected by the operating system here’s how you can output audio to multiple devices on Windows 10. Download and install Audio Router then play audio in two different apps. You can also use two instances of the same app. 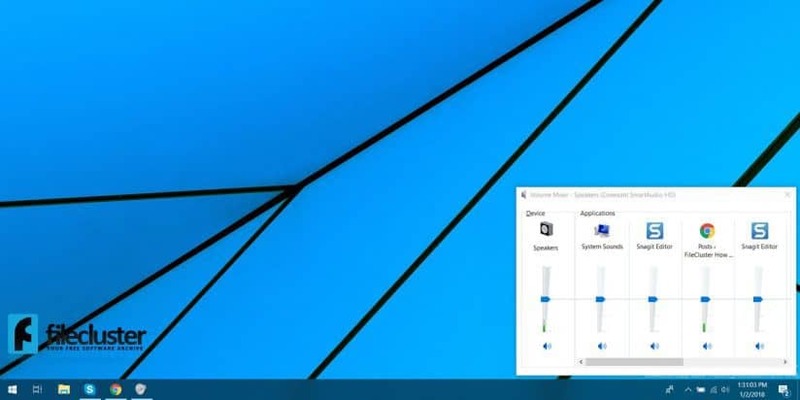 Open Audio Router and it will display a layout similar to the Windows volume mixer. If you’d like to output the audio from a specific app to an audio device other than the default one, click the small down arrow under the app in question and select “Route” from the menu. This will open a dedicated window from where you can select the audio device you want to route the audio to. Select the device and that’s it! The audio from the app in question should play through the selected device. Now you just need to do this for each app you want to route to an audio device other than the default. If Windows doesn’t detect your audio device or it doesn’t work, it means it’s not properly set up. However, there are a few things you can try to fix the issue. Firstly, make sure you have the latest sound card drivers. Also, if have a sound manager from your system or sound card manufacturer, open it and make sure it’s configured properly. Also, it’s worth mentioning Audio Router should be run with administrative permissions.